Klaus has a conversation with Cami’s ghost about his daughter and the others. 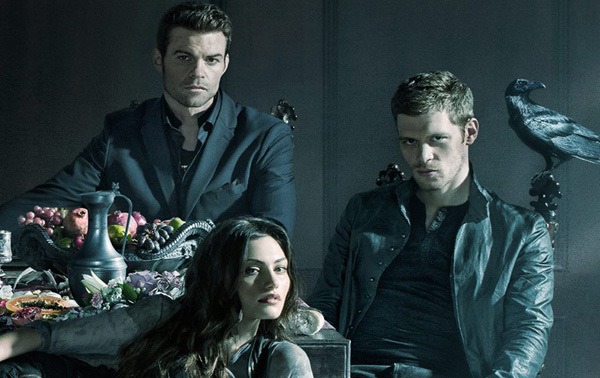 Elijah and the others arrive in New Orleans to find Klaus. They split up. Rebekah and Elijah paid a visit to Josh to find out where Marcel might have Klaus held prisoner. Kol, Freya, and Hayley go to a place Freya had used when she arrived in town. She is using a locator spell to find Klaus. It leads them to the tunnel running under the city. Rebekah goes after Marcel to keep him busy while Elijah, Hayley, and Freya go after Klaus. Kol stays behind to keep an eye on Josh so he cannot contact Marcel and tell him they are in town. Rebekah confronts Marcel and tries to get him to free Klaus. He doesn’t take the bait. Sofya shows up and shoots her in the back with some arrows. Marcel goes after Elijah. Freya uses a spell with Hayley’s help to free Klaus. Elijah and Marcel fight. Klaus is free and they take off to meet Rebekah and Kol. Marcel catches up with them. He and Klaus exchange words. In the end, Marcel lets them and tells them to never return to the city. They agree to that. Klaus sees his daughter for the first time in five years when they get to Hayley’s. She is asleep. Hayley asks him if he wants her to wake her up. He says no to let her sleep. Vincent goes looking for Adam(Maxine’s son). He never returned home at the end of the last episode. Vincent looks in an abandoned house and is confronted by a spirit. He protects himself with a protection charm that Maxine gave him. He knows what the symbol is and tells Maxine that he knows what they are up against. Someone is using very dark and powerful magic. He calls Marcel and leaves a message about what is happening and that it might be his fault while holding a book with the symbol on the cover. Next week’s episode Klaus vows that no one will hurt his daughter. Vincent explains to Marcel that whoever is using the magic is just getting started and will take more children to use them in their plan.